*Percentage calculated using 200x concentrated Aloe. A wonderful sorbet cream designed to moisturise and provide wellbeing to combination skin with a tendency to go greasy and appear shiny. Made with selected ingredients of plant origin and 30%* Aloe juice, it moisturises the skin, providing instant freshness and helping to fight shininess. The sorbet texture is light and ultra-fresh, a delight to rub into the skin which, overwhelmed with pleasure, releases all its natural beauty. Aloe: a juice with over 200 active ingredients is extracted from its leaves, which moisturises, calms and restores the skin effectively. 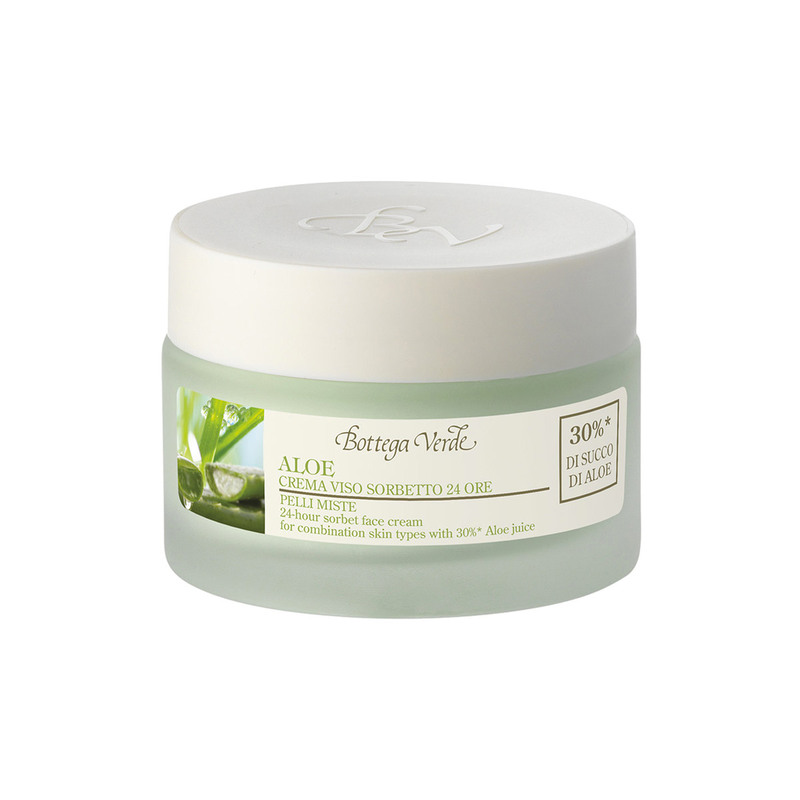 A wonderful sorbet cream with selected ingredients of plant origin and 30%* Aloe juice. It moisturises the skin, providing instant freshness and helping to fight shininess. Direction for use:Use your fingertips to apply the cream, moving delicately from the bottom of your face upwards and from the centre outwards. This application method, combined with the cream, will help keep your skin in optimal condition. Scent:Floral, greenery, aquatic and musk aroma. Suggestions:For everyone with combination skin. Characteristic:Moisturising and calming, for combination skin. Choose it if you want a product that contains no parabens, formaldehyde releasers, silicones or mineral oils.